The newly released Financial Accounting and Reporting Study Guide Notes are written in at-a-glance format for easy reading, highlighted with illustrations, and examples for visual learning. 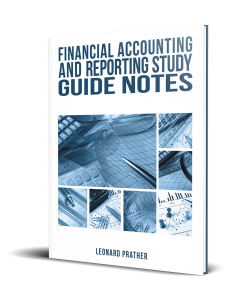 Accounting concepts are easy to learn with Financial Accounting and Reporting Study Guide Notes! Copyright © 2017. Leonard Prather. All rights reserved.